The contours of the Klaune Icefield- photo courtesy of Steffen Schreyer. 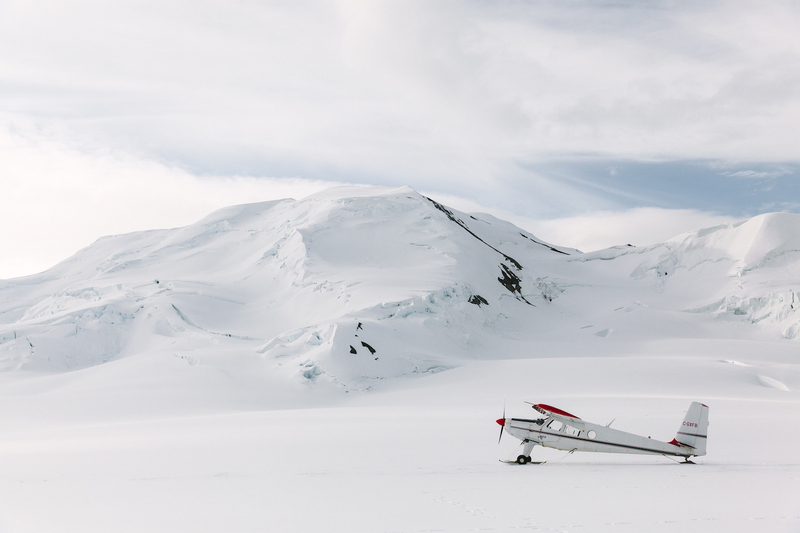 A flightseeing plane landed on the Kuane Icefield. The beauty of the Klaune Icefield. Fly over one of the most striking views in Canada, if not the world. 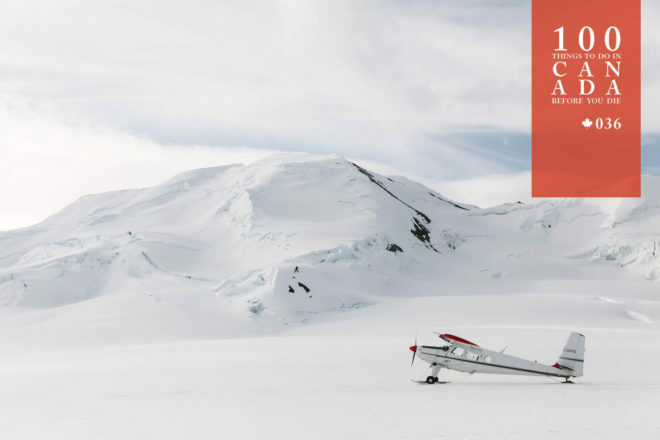 Forget sightseeing – a Kluane Glacier Air Tour is all about flightseeing! This breathtaking journey over some of Canada’s most sublime mountain ranges has been called the “highlight of my Yukon adventure” by countless visitors before you. 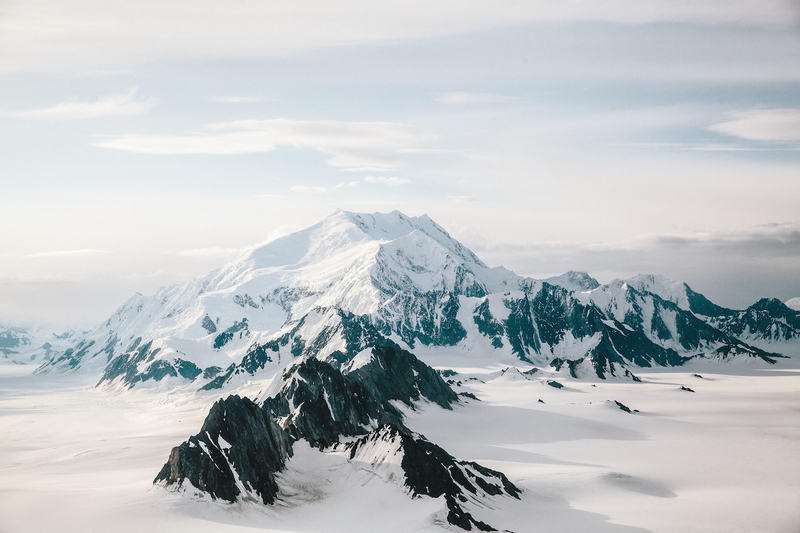 Flying out of Haines Junction, your tour takes in Canada’s highest mountain, Mount Logan, and the world’s largest non-polar ice fields. Towering peaks and magnificent glaciers aren’t the only attractions though, with the likely chance that a grizzly bear, moose, Dall sheep or mountain goat will make an appearance. And yes, that’s right: your experienced pilot will soar close enough for you to pick out individual sheep munching away on the near-vertical slopes. Once you’ve taken the air tours, spend the remainder of your holiday seeing what the ground level has to offer with guided rafting trips, mountain bike adventures, boat tours and more. But after that dance through the skies? Nothing will seem quite the same. 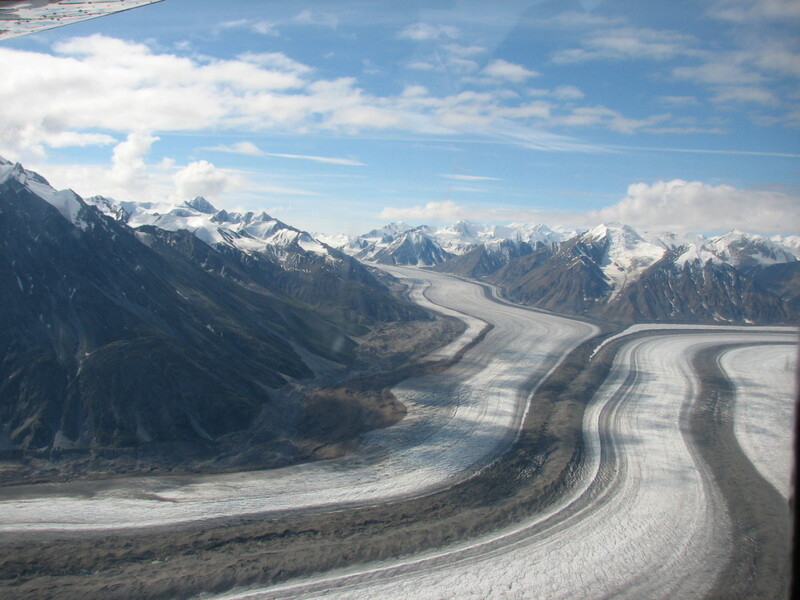 Kluane Glacier Air Tours (kluaneglacierairtours.com) are available at any time of year. Get there via Adventure World’s Northern Canada tour. Kluane National Park and Reserve is in the extreme south-west corner of the Yukon, and Glacier Air Tours departs from Haines Junction, 140 kilometres due west of Whitehorse.